We strive to fix cars right the first time. Our shop reputation is built on the highest repair standards, a vast historical knowledge of a wide range of cars and hell bent desire to help you reach optimal engine performance. We specialize in European sports cars built in the 1930's- 1970's, an era when it wasn't about the destination but excitement for the drive, excellence in design, stunning aesthetics, handling, craftsmanship and raw horsepower. Our repair job begins with evaluating your relationship with your vehicle, listening to you, your needs, concerns, the way you like to drive (fast and loose) and what the goals are for your car- Is this a Sunday fun ride, daily driver, cross country bomber or the restoration of a family heirloom. We'll work with you on parts sourcing to find the right replacements for your vehicle whether these are originals, re-builds or newer components. 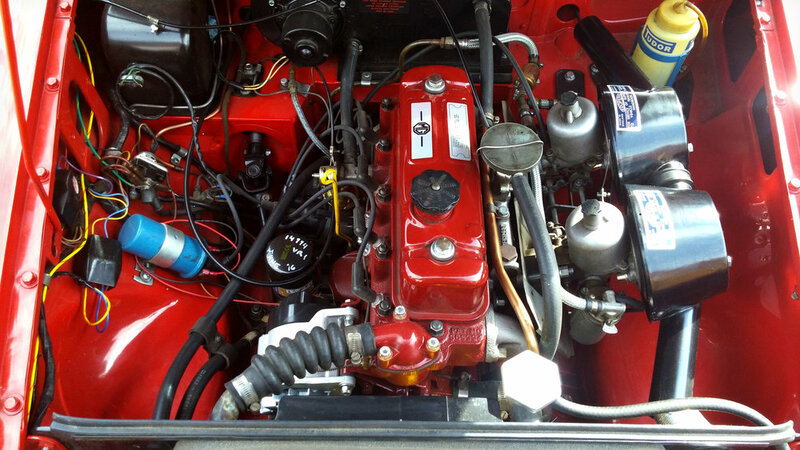 Restoring a car back to its best self is a job we take particular pride in. We'll sit down with you to determine a schedule, partner shops for body, paint and interior work and the level of detail you'd like to see, from touring vehicle to show car. Getting you back on the road and keeping you there is our goal. 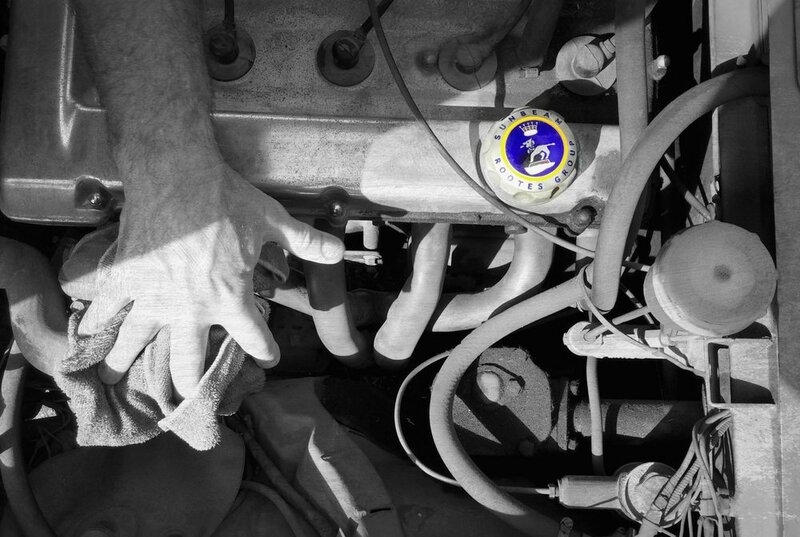 Our services include annual maintenance and tune ups. We'll let you know about concern areas for your car- brakes that might be squishy or leaks to be addressed. As car geeks we're always happy to share not just arcane knowledge about particular valves and headlights but practical tips too on proactive care for vintage vehicles. Cars like yours need knowledgeable and special care, we get that, we adore and drive these cars too. We test drive everything we work on, unless you ask us not to, and most days the coffee in the back is fresh and hot. With a boundless sense of humor and love hate relationship for all thing British, Ted has had his head under one bonnet or another since 1980. He tricked out his first car in high school, a 1967 Sunbeam Alpine with three European rotating licence plates, hidden control panel in the dash, tail trim which unfolds to reveal toy machine gun extruding from rear lights and a converted Toyota twin cam engine. Putting in over two decades professional experience, Ted previously wrenched for Sports Car Craftsman and Scotland Yard before opening his own shop. Having the opportunity to work on a wide range of European sports cars is a particular delight. 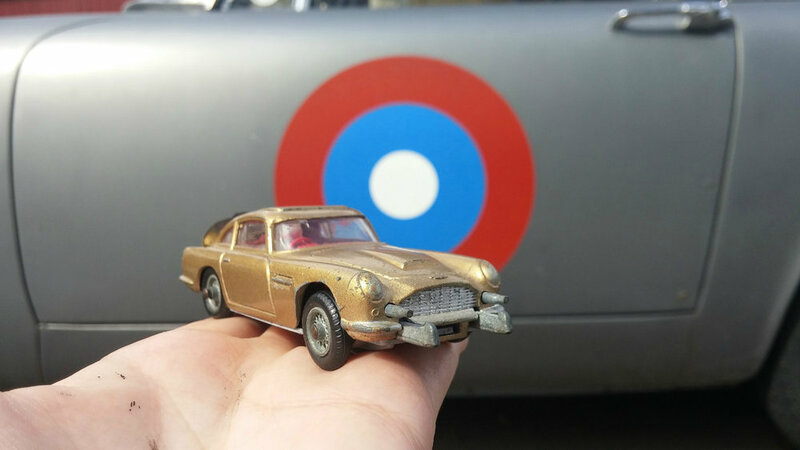 "The passion for old and interesting cars is multi-faceted. Vintage cars embody history, engineering, art, offering a window into the culture at the time of their creation and minds of the people who designed and built them. They are also a form of self-expression just like one’s clothing, house, sunglasses or shoes might be, and you can use them for work or fun, and even after spending staggering amounts of money on one, sometimes you end up making a few bucks after selling! Personally, I consider fixing them and driving them daily as a sort of “badge of honor” because it IS difficult, then enjoying them as art, props, and transportation turning a commute into a fun part of my day". Shawn came into the car world at an early age as well, getting dragged along to shows and races with her mom and step dad. Family trips to Europe were Jaguar parts finding missions highlighted by visits to the iconic race tracks on the Isle of Man, Silverstone and Nurburgring. Like all kids who rebel against their parents, Shawn embraced the dark side and drove Citroens instead. Bo is decidedly “not a car guy”, but great with book work, business planning and keeping his partners out of trouble.